Marketing Strategy process considers four factors of Strategic situation analysis, Designing market-driven strategies, Market-Driven program development, Implementing and managing market-driven strategy. In this assignment we choose Grameen phone (GP) which is one of the leading telecommunication company in our country. They use different types of marketing strategy in segmenting market to increase their sale. As well as they have few issues (advertising, call rates, segmentation market, target market etc.) this is really threat for them if it is compared with other leading company. The broad and over all objective of this report is to provide with an over view of the learning at GrameenPhone Ltd. so that the theoretical learning can be related with the real life business situation. • To know the Competitive strategies of Grameen phone. • To define the target market of Grameen phone. • Extensively describe GrameenPhone Ltd. (GP) as an organization providing cellular phone service in Bangladesh, its products and services. • To identify the customer satisfaction and marketing strategy level of GrameenPhone. In case of Primary data we have selected Marketing side of the company that is Employer working marketing strategy side. To know information about this side we want to Grameen phone office. Before going we have set different questions related with Marketing Strategy. We also observed the entire situation as much as possible. We have tried hard and soul to make the information accurate. After collect data from the primary sources, secondary data are made by our group discussion. After collecting data we call a meeting for discussion. Our team discussed about the marketing strategy process of GP. That output information is our secondary sources. We also collect the data from the internet ( www.grameenphone.com ). We have also gathered secondary data from the text book “Strategic Marketing” written by David w. cravens and Nigel f. Piercy. Primarily we went to Grameen phone office and also physically conducted with their employee. We ask some question and they give answer and also provide other relevant information. Then we analyze this information and try to found some key points about their marketing strategy and we have also tried to give some recommendations against those. The major limitation factor for this report was primarily the reluctance and strict adherence to confidentiality maintenance attitude shown by the officials of mobile operators. Most of the calculations had to be made taking GP’s figures as the industry average. Most of the relevant literature and study materials on the telecom sector were not updated, and no comprehensive in-depth study on the cellular industry could be found. • Due to rainy weather we cannot collect all information properly. • Other factors such as technical difficulty in lab, load shedding etc which is create barrier to complete this assignment. Marketing strategy is an analysis, planning, implementation, and control process designed to satisfy customer needs and wants by providing superior customer value. GrameenPhone (GP) has been established to provide high-quality GSM cellular service at affordable prices. GrameenPhone was offered a cellular license in Bangladesh by the Ministry of Posts and Telecommunications on November 28, 1996. The Company launched its service on March 26, 1997, the Independence Day of Bangladesh. In 1996, Bangladesh was preparing to auction off private cell phone licenses to four companies. So at the behest of Dr. Muhammad Yunus (Grameen Bank’s founder) but completely independent of Grameen Bank, a not-for-profit private company called Grameen Telecom was created. Grameen Telecom, in turn, created a for-profit company called Grameen Phone, found a foreign partner, and put in a bid; Grameen Phone received one of the four licenses. Grameen Phone’s total capitalization was US$120,000,000, including around US$50 million from IFC/CDC, and the Asian Development Bank (ADB). It also received US$60 million in equity from the four Grameen Phone private partners. These were the Norwegian Telenor with a 51% share, Marubeni of Japan with a 9.5% share, and the American Gonophone at 4.5%. Grameen Phone’s fourth partner is Grameen Telecom (with 35%), and Grameen Telecom borrowed US$10.6 million from the Open Society Institute to set up Village Phone. “To be the leading provider of telecom services all over Bangladesh with satisfied customers, shareholders and enthusiastic employees. GP provides GP national, GP regular, any time 300, Easy prepaid, Djuice.Easy gold, Smile. The strategic situation analysis considers market and competitor analysis, market segmentation and continuous learning about market. Designing marketing strategy examines customer targeting and positioning strategies, relationship strategies and planning for new products. Marketing program development consists of product, distribution, price and promotion strategies design and implementation to meet the value requirement of targeted buyers. Marketing management uses the information provided by the situation analysis to guide the design of a new strategy or change an existing strategy. The situation analysis is conducted on a regular basis after the strategy is under way to evaluate strategy performance and identify needed strategy changes. Market targeting and positioning for new and existing products guide the choice of strategies for the marketing program components, product, distribution, price and promotion strategies are combined to form the positioning strategy selected for each market target. 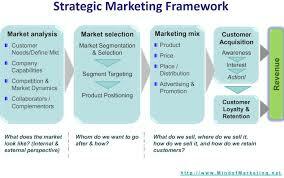 The marketing strategy implement the positioning strategy. The objective is to achieve favorable positioning while allocating financial human and production resources to markets, customers and products as effectively and efficiently as possible. Selecting the customer to target and the positioning strategy for each target moves marketing strategy development to the action stage. This involves designing the marketing organization and implementing and managing the strategy. • Designing effective market-driven organizations. “To be the leading provider of telecom services all over Bangladesh with satisfied customers, shareholders and enthusiastic employees”. GP has a dual purpose: to receive an economic return on its investments and to contribute to the economic development of Bangladesh where telecommunications play a critical role. The mission is to provide value at an economic cost, process in diversity, and continue to contribute to growth of industrialization in Bangladesh by being the market challenger. GPs market structure is very strong to other telecommunication company’s. GP create an excellent distribution channel to serve their product. GP also set a strong networking system. GP always analyze the competitor markets because competitors are suddenly launched new package and also low call rates. Basically they segment their market in considering two factors; one is demographic and another is geographic. Geographic segmentations call for dividing the market into different geographical units such as countries, state, cities etc. GP provide international roaming system for there customer to use other country. Demographic segmentation divides the market into group based on variable such as age, gender, family size, lifecycle, income etc. GP offers GP national for all kinds of customers. Basically future market forecasting is very difficult. Although they try to learn about the market through using the researcher. The researchers continuously conduct survey and other method to gather current market situation in whole over Bangladesh and periodically submit their report to the superior. Through a recent study shows customer like to purchase low call rate service and various extra offers like internet, MMS, GPRS, News update, Health line etc. Marketing segmentation reveals the firms market segment opportunities. GP now evaluates the various segments and decide how many which wants to target. Now the targeting market of GPs most probably young generation because now they provide some attractive offers to attract the teenage people. GP try to make their positioning strategy combining with the lower call rates and offering attractive benefits and promotions to customer. GP make a strong marketing relationship may include subscribers, marketing channel members, suppliers, competitor analysis and internal teams. They organize periodically conference with their distributor and try to motivate them by providing reward, extra incentives, gift hamper; sometimes it depends on sales performance. They make relation with customers through basically providing best network service and sometimes also providing promotional offer by making public relations such as sponsoring social program. GP also sponsored Bangladesh national cricket team to buildup a relationship to all kinds of people. GP are always try to launched varieties types of new services like health line, voice SMS, MMS, GP world service, Mig33 and welcome tunes etc to attract the consumers. GP also provide their D-juice subscribers at .30 Tk per minute at 12.00 am to 6.oo am and their smile subscribers at 1.20 tk per minute at 9.00 am to 4.00 pm. They always concern about the quality service at competitive low call rates and select the required distribution channel as target customer easily take their service. GP are one of the pioneer telecommunication company in Bangladesh. For that GPs brand is express themselves as an established brand. They focus their patriotism through expressing their brand name ‘ Grameen Phone’. Ultimately there is a great chance to attract all kinds of subscribers. May be their call rates is low, they try to make it decrease by providing best service. Besides they also arrange many social programs to make subscribers and build their brand equity. Price is important for every type of services. GP are always try to provide best service for low prices. Most of the competitor offer low rates but negotiate with the quality services. But GP believes that if a customer want quality services then ha must to pay high rates. GPs target customers are upper middle and lower class and their price is as possible as low; for that they are keeping their existing subscriber loyal and create such potential subscriber who are mentally prepared to use their services with lower price. GP offer various promotions for their subscriber like bonus talk time for night talk, free SMS, free t-shirt, cap etc. GP gave the advertisement of their product through electronic and no electronic Medias. Very recently they start new campaign “Pothe Pothe” to increase their sale. Now these days called twenty first century when all things are modern. Every where are used technological product like computer, fax, and internet etc. Now there are lot of sectors like that product development sector, quality control department, Research and development department, HR department is introduced & recruitment new employee. Another important department is IT sector where control sectors. GPs marketing strategy implementation and control consist of marketing plan and their budgets and also the managing and controlling the strategy on an ongoing offers .At the starting of the year they formulate the plan which includes the sales revenue, production, marketing, HR for the interest of their company. For implementing the strategy the management arrange monthly meeting for all top positions employee because they are set new strategy for organization. • GP offers always best quality services with minimum prices. But in this case if they provide these services with few less price compare with their competitor then their profit might more increase. They can achieve this objective by reducing service maintenances cost. • GP are not give extra benefited for students, if they give that may be increase there young subscriber. • Recently they provide internet services for their subscriber but it’s slow, so if they provide fasted service than subscriber can easily get it. Finally we can say that Grameen Phone is the best. The subscribers and consumers perception about this mobile company are approximately good. After examine of its marketing mix (Product, price, place and promotion) marketing segmentation and competitive position we can say that it is a world class cellular company and applying better marketing method. Finally we want to say that the marketing strategy and policies of Grameen Phone are world class and better than the other mobile company’s in our country.